Earlier this month, Gumption Hard Cider – the Circus of Ciders – introduced Choco Lottie, the second limited-run Late Show rotational release. Feast your eyes on the beautiful Choco Lottie, a hard apple cider heavy on chocolaty goodness with hints of caramel. Choco Lottie is the second rotational offering in the Gumption Late Show series – a rotating array of the most innovative, and sometimes bizarre, ciders to ever grace the midway. The Gumption mad genius cider makers are fermenting, aging, extracting and infusing with incomparable obsession, pushing the limits of cider making. The Gumption Late Show package is truly unique – the six-pack art remains the same, but the liquid regularly changes. 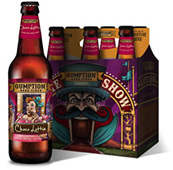 Gumption Late Show Choco Lottie is 6.9% ABV and will retail for $10.99 per 12-ounce six-pack. It will also be available in 5.2 gallon kegs. 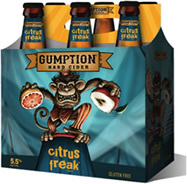 Gumption – the Circus of Ciders – originally launched under the Woodchuck brand in 2015 as a bold and audacious brand. In December of 2016, Gumption spun off from Woodchuck as its own brand with line extensions. The original Gumption brand – inspired by PT Barnum – will be joined by a second year-round style, Citrus Freak, this coming July. At 5.5%, Citrus Freak is a semi-dry cider with a perfect pairing of delicious eating apples, grapefruit, and cascade hops. Stay tuned for more! For additional information, please visit GumptionCider.com. Photos courtesy of Vermont Cider Company. This month, Tieton Cider Works, a farm-based craft cider company, announced they have released their spring seasonal called Lavender Honey. This is a first in a series of selections that will be part of Tieton Cider Works’ seasonal draft offerings. Lavender Honey is made with locally-sourced honey and whole lavender buds. Lavender Honey and the Seasonal Draft Program have been developed in response to Tieton Cider Work’s customer requests. Not to disappoint, Tieton Cider Works will be releasing these ciders in limited quantity and draft only. You will be able to find them in select locations in Washington, Oregon, California and Nevada. Please visit TietonCiderWorks.com for more information on Lavender Honey and Tieton’s other great ciders. Photos courtesy of Tieton Cider Works. Award-winning Spokane-based cider producer, Liberty Ciderworks, has updated its license to a “tavern” license with the state of Washington to sell esteemed ciders from around the world. The decision to pursue this license was for a number of reasons but Liberty Ciderworks has always viewed the pursuit of great cider not just from a production standpoint but also from an education/ambassadorship standpoint. 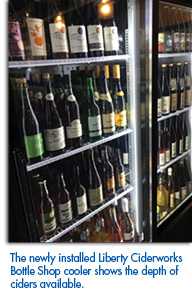 This month, Liberty Ciderworks’ downtown facility and taproom became an outlet for award-winning ciders from Europe and North America with a cooler of over fifty varieties of bottled ciders and three guest ciders on draft. Some of the ciders that Liberty has been able to procure include brands from across the United States, Spain, England, France, and Germany. Buried in these ciders are examples of French keeved cider, wild ferments, bottle-conditioned cider, perries and English funk. 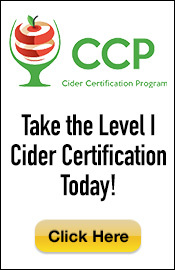 One of the standards by which Liberty is trying to acquire ciders is by the number of GLINTCAP (Great Lakes International Cider and Perry Competition) medals the cider has received. The lofty goal of the staff is to have every gold medal cider available at some point in time at the Liberty Ciderworks Bottle Shop. Liberty is also looking for locally-produced ciders without a lot of additives, if any at all. Further, it is not a prerequisite for the cider to come in bottle packaging but the staff does prefer bottle to can. Most of the price points for ciders will be between $10 and $21 for a 750mL bottle. Draft options will run around $6-$7 a glass. Liberty is going to try to be very competitive in pricing so it’s easy for patrons to pick-up a bottle. In addition to ciders, Liberty will include a guest beer in its draft offerings to better address the range of expectations in the groups that stop in. Currently, an IPA from local Spokane brewery, Perry Street Brewery, is on tap. Liberty Ciderworks began in 2013 with a simple two-part mission to use apples from local farms and fields to create unique, wonderful ciders and share those ciders with friends and neighbors across the great Pacific Northwest. Located in the largest apple-growing region on the continent, Liberty Ciderworks takes pride in showcasing the diversity and wonders of locally grown fruit from apples like McIntosh and Jonathan to Kingston Black and Dabinett. 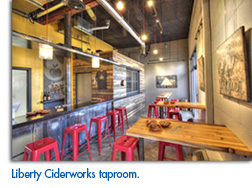 For additional information, please visit LibertyCider.com. Photos courtesy of Liberty Ciderworks. Established as an organic, artisan-quality pure maple syrup brand, Crown Maple continues to demonstrate the versatility of maple through its new product partnership with Angry Orchard to create the specialty, limited release Maple Wooden Sleeper, which launched last month. Together, the two brands brought an exciting new product to the beverage category by blending Crown Maple’s estate grown syrup with Angry Orchard’s barrel aged Wooden Sleeper cider. The result is a deep, complex beverage layered with notes of oak, bourbon, and of course, New York maple syrup. 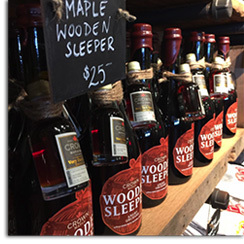 Bottles of Maple Wooden Sleeper are available for purchase for $25 at the Crown Maple Estate and Angry Orchard Innovation Cider House, while supplies last. Only 400 bottles were produced of this super exclusive 12% ABV style. For more information about Angry Orchard, please visit AngryOrchard.com. 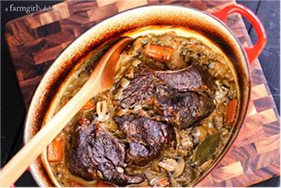 For information about Crown Maple, please visit CrownMaple.com. Photo courtesy of Crown Maple. Cider producers from across Minnesota gathered this month to officially establish the Minnesota Cider Guild. The newly organized guild brings together licensed cider producers for the purpose of advancing, promoting and showcasing quality Minnesota-made cider. At present, there are a total of 16 cider producers in Minnesota and several cideries-in-planning. 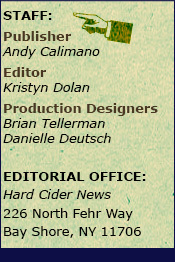 The guild has 12 members currently – nine cider makers and three cideries-in-planning. Future plans are to expand guild membership to include apple growers and cider enthusiasts of all kinds. Plans are still in progress for all of the events during Minnesota Cider Week, which will include cider pairing dinners at participating restaurants, cider trivia at participating entertainment venues, and opportunities for home brewers to enter their ciders in competitions to earn bragging rights and fun prizes. The festivities will conclude on Saturday, June 10th with the Minnesota Craft Cider Festival, a cider-tasting with up to 50 different ciders from around the world, to be held at Red River Kitchen at City House in St. Paul. City House is an historic elevator and sackhouse, renovated into a public pavilion located on the scenic Mississippi River in downtown St. Paul. Tickets for the Minnesota Craft Cider Festival are $30 and can be purchased online via the guild’s website, MNCiderGuild.org. The Minnesota Cider Guild is a non-profit organization dedicated to developing and promoting Minnesota Cider. For additional information, please visit MNCiderGuild.org. Photo courtesy of Minnesota Cider Guild. RC Investors, a private investment group, announced it has taken a majority interest in Ridge Cider Company, a craft hard cider company based in Grant, Michigan. Matt DeLong, founder of Ridge Cider, will become the head cider maker, and business operations will be managed by the new Ridge Cider, LLC. This investment positions Ridge to begin bottling their hard cider for regional distribution. Launched in 2015, Ridge produces more than 30 dry, artisanal ciders in the European tradition, made from 100 percent fresh Michigan apples, personally selected by DeLong from specific varieties found along “the ridge” – West Michigan’s legendary apple orchard country. Covering 158 square miles and named for its extensive agricultural activity the ridge extends from Walker in the south; to Grant in the north, and it is primarily centered in Sparta. It is considered a fruit agricultural mecca, as its fertile soil, high elevation and unique climate, because of proximity to Lake Michigan, make it a prime fruit-growing region. To date, Ridge’s distribution network has been limited to taprooms and restaurants along the Lake Michigan shore. The company will immediately pursue distribution into retail and wholesale suppliers. DeLong’s simple, natural approach to cider combines traditions that were used at the founding of the United States and pairs them with the modern flavors characteristic of today’s craft beer industry. Variations currently include versions made with local honey, cherries, raspberries and hibiscus flowers, as well as a dry-hopped cider. Initially, Ridge will bottle Hop’d, the dry-hopped cider with the use of three varieties of hops to create a combination of citrus tones, sharp hoppy flavors and a creamy or buttery mouthfeel on the finish; and Porch Sittin’, a vanilla cinnamon blend made with whole vanilla beans and cinnamon sticks. 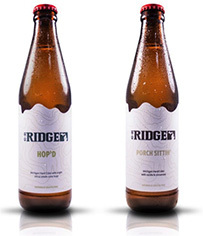 Ridge employs traditional farmhouse production methods that include native and secondary fermentation and use of wild yeasts, native to the region. Matt DeLong had been making cider since he was a teenager, where he started experimenting with letting fresh cider ferment in this basement. He has continued to pursue this passion over the years, refining his approach but always using fresh local ingredients from local orchards. DeLong initially formed Ridge Cider Company to produce bulk cider for other breweries and wineries, but with the intention of opening a hard cider company of his own. In 2014, DeLong joined forces with Bruce Rasch, a fifth-generation apple farmer and owner of Apple Quest, one of the largest orchards in Michigan. Rasch produced much of his apple harvest for fresh markets across the Midwest. 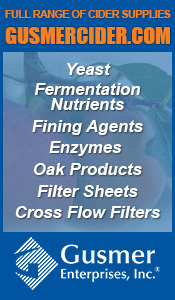 For more information visit RidgeCider.com. RC Investors is an entity of the private equity firm, Windquest Group. Photos courtesy of Ridge Cider Co.